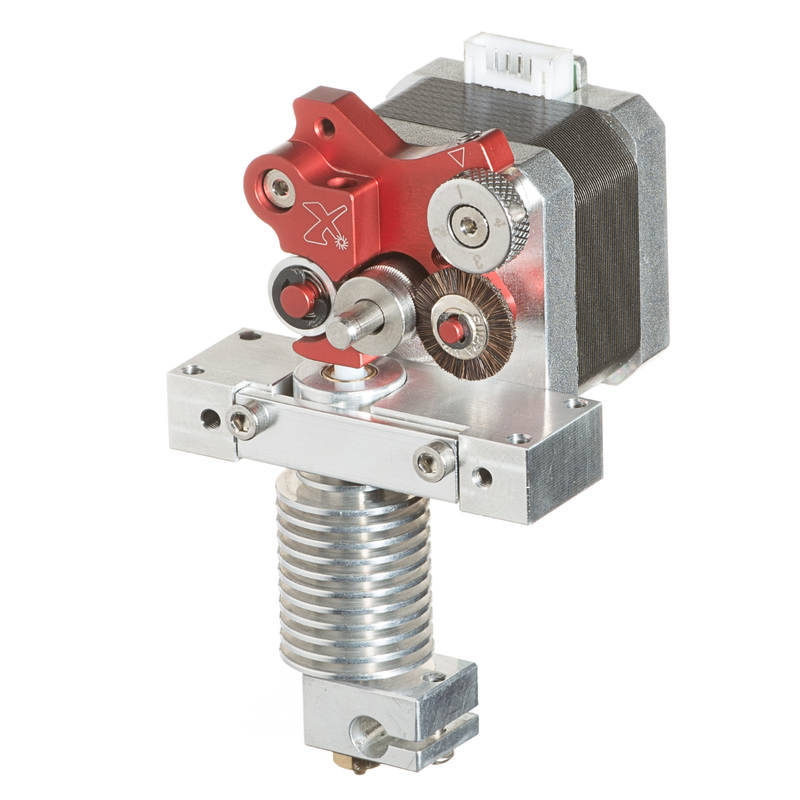 3D printer extruder retrofit kit for dual-extruder direct-drive machines, such as the Flashforge Creator Pro, QiDi Tech, Powerspec Ultra, CTC Dual Extruder, and Makerbot Replicator 2X. 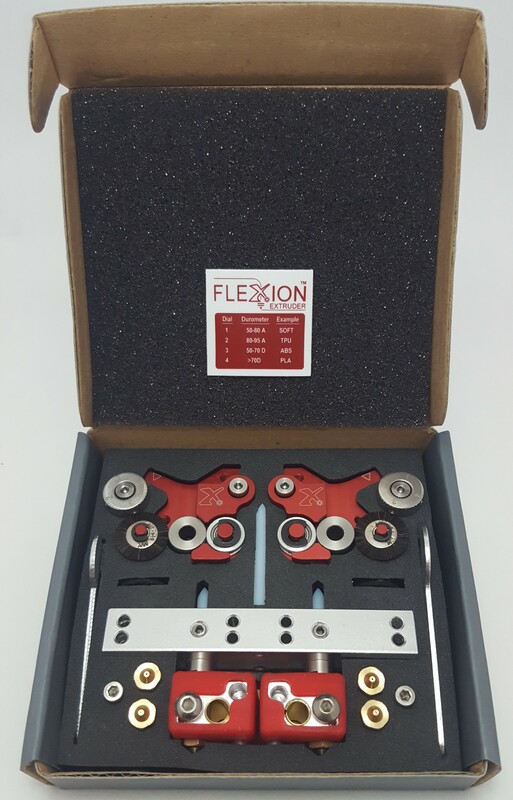 The Flexion extruder will allow full-speed printing of flexible filaments and improved accuracy printing with PLA and ABS. 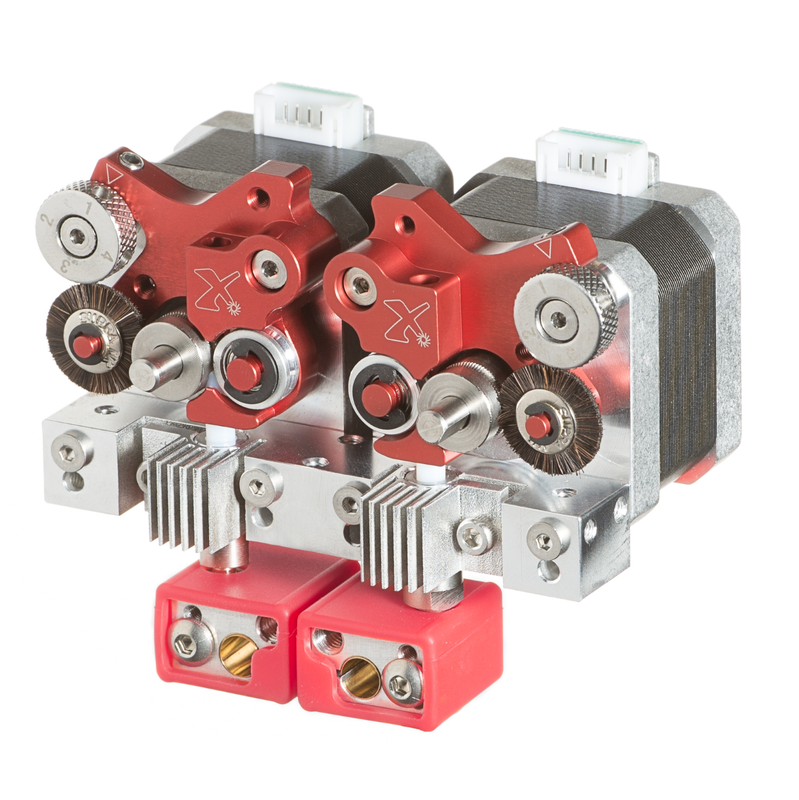 The precision machined components allow your printer to push on filament harder, achieve high pressure in the nozzle, and control of feed rates very closely. The self-cleaning drive will keep your long prints from failing due to a clogged drive. 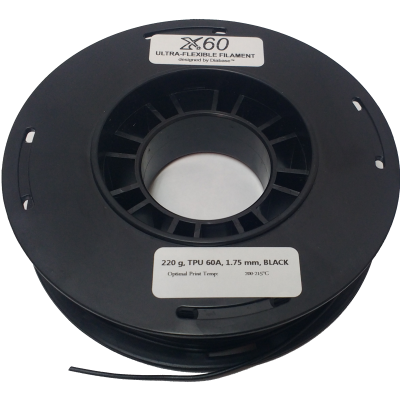 Works will with Ninjaflex, Filaflex, flexible PLA, TPU, TPE ultra-flexible filament down to 50 Shore A, and all the standard rigid filaments like ABS and PLA. 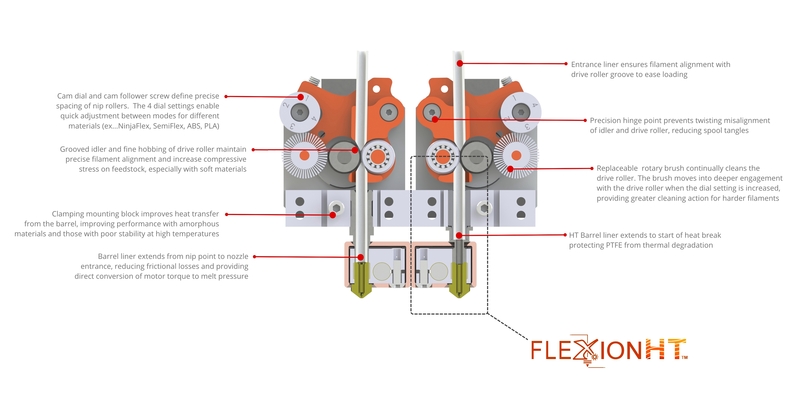 The Flexion Extruder uses a high-stiffness lever to compress the filament. 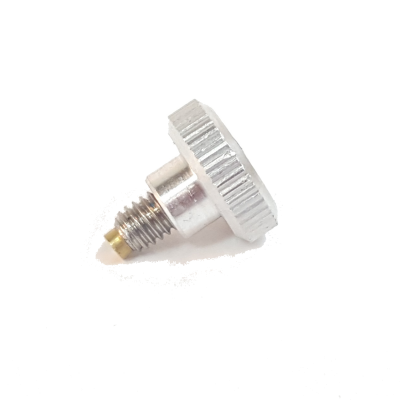 The compression is controlled with a cam and an adjust screw, rather than the traditional spring. 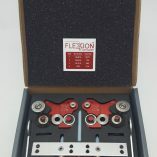 This allows more tension and more precise control of the tension. To learn more about the benefits and drawbacks of this system, please read our blog post about it. 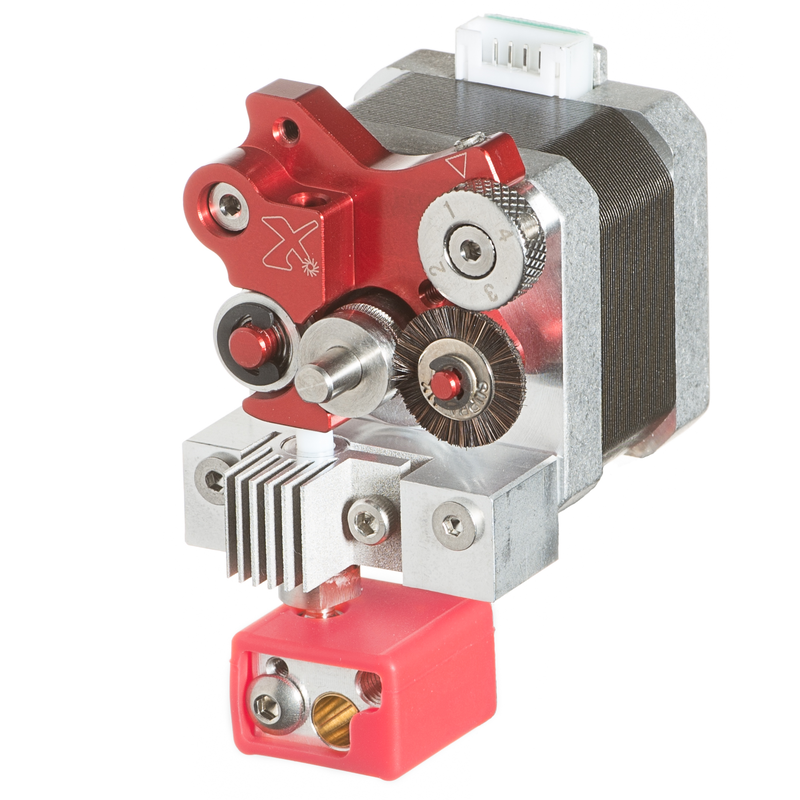 This kit requires you to disassemble your printer’s extruder and reinstall this upgrade. 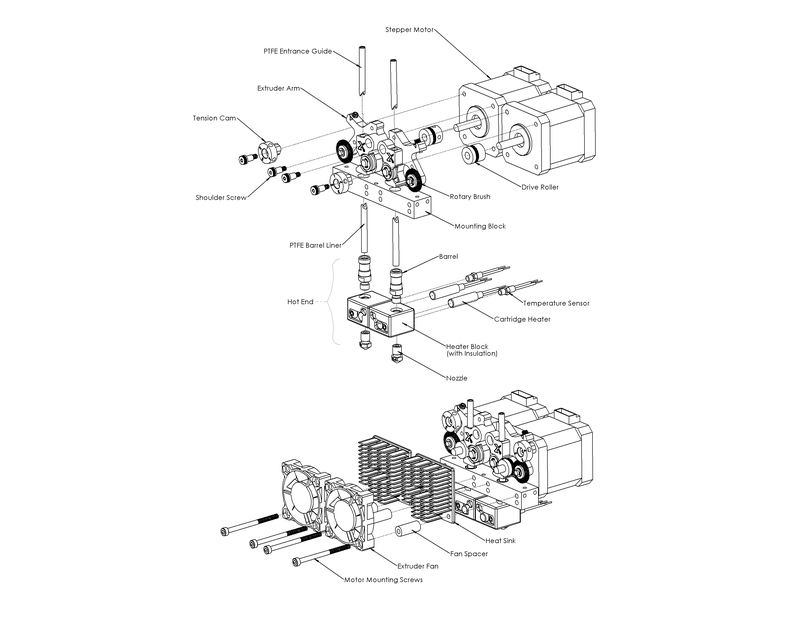 Detailed instructions on this process can be found on our support page. I received my Flexion dual extruders and hotend kit early this week for my Qidi Tech 1 (Replicator 2 clone) and installation was fairly straightforward w/ the video on the Support page. It took a little bit to dial in w/ the cam and adjustment screw but my first successful PLA prints were very high quality. Austin from support was very prompt and responsive to help me get the NinjaFlex settings dialed in. I am very impressed w/ these extruders and definitely recommend them for anyone to print soft materials at high speed and great quality. One the Best Investment We’ve done for Printing Flex Only. We’ve Converted One of my Wanhao 4s with the dual extruder kit. and I must say What a difference it made for printing flexibles. so far I’ve printed more than 30 prints and not even a single blockage or mistake. I’ve printed NinjaFlex, Laywood D3 Flex, filaFlex, Forefront F41, PolyFlex and got few more on my list to print like Fillamentum flex, Porlay, foamlay. Love this extruder and recommend highly of it. 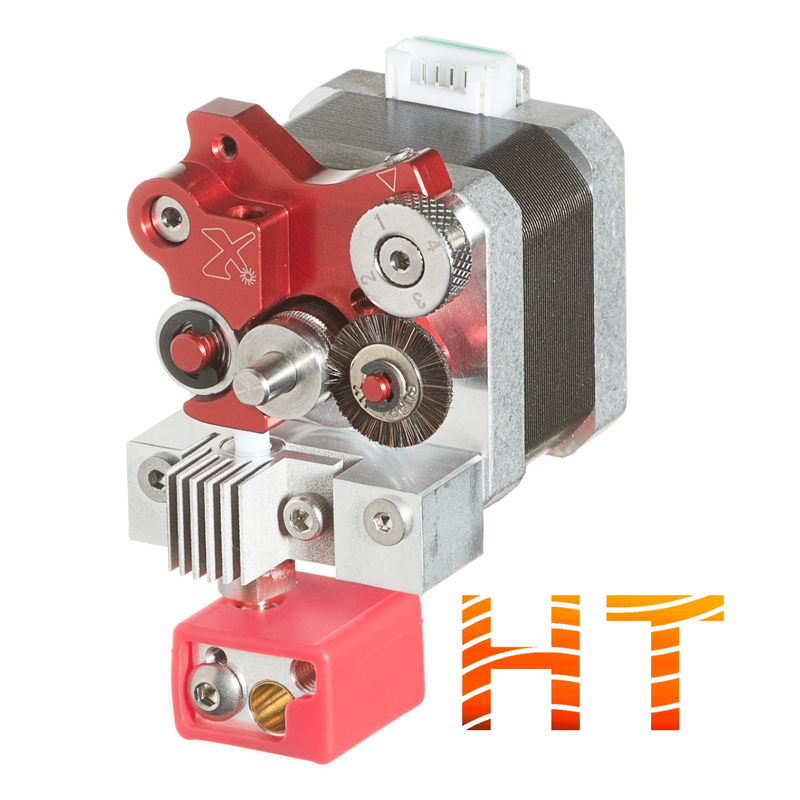 Great working Extruder and Hotend. So far i have printed ABS and NinjaFlex. First try, perfect result! Now all we need is a all metal upgrade. High-temp upgrade is now available! I think this is the best upgrade for any 3d printer there is. Prints come out so much better and I have had no filament clogs. The nozzle will not jam, I had a print failure where the object got detached from the bed and melted the to nozzle, the flexion extruder kept pumping filament out. The heat sock was completely filled with filament. After removing melted goo, I heated the hot end and was able to print again. A standard extruder would have stoppped and jammed.